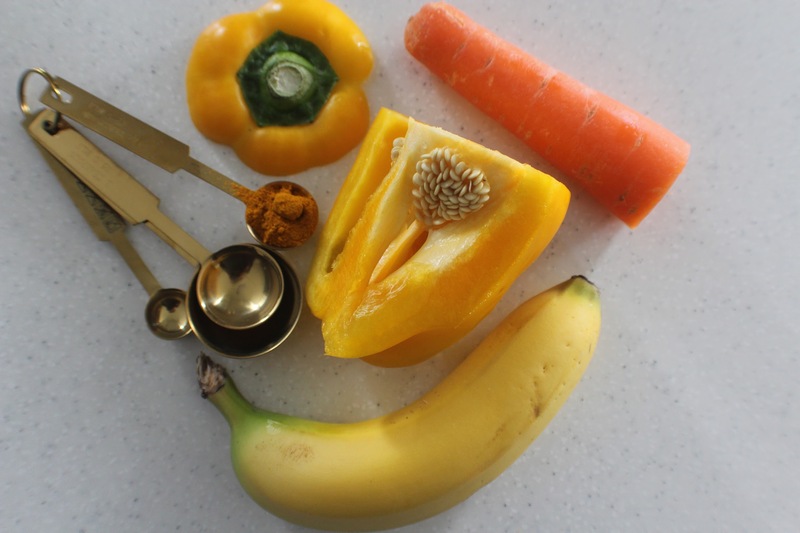 I’m always up for a challenge – especially when it comes to food – so when I received an email about getting involved in It’s Pepper Time’s Smoothie Challenge I thought, why the hell not? An EU-funded initiative, It’s Pepper Time aims to promote the use of peppers in everyday recipes and meals. Deliciously sweet, higher in vitamin C than oranges, kiwi fruit or strawberries AND packed with vitamins E, B1, B2 and A, peppers are such a versatile vegetable and ideal to use in so many creations – the different colours help to make them look pretty too! 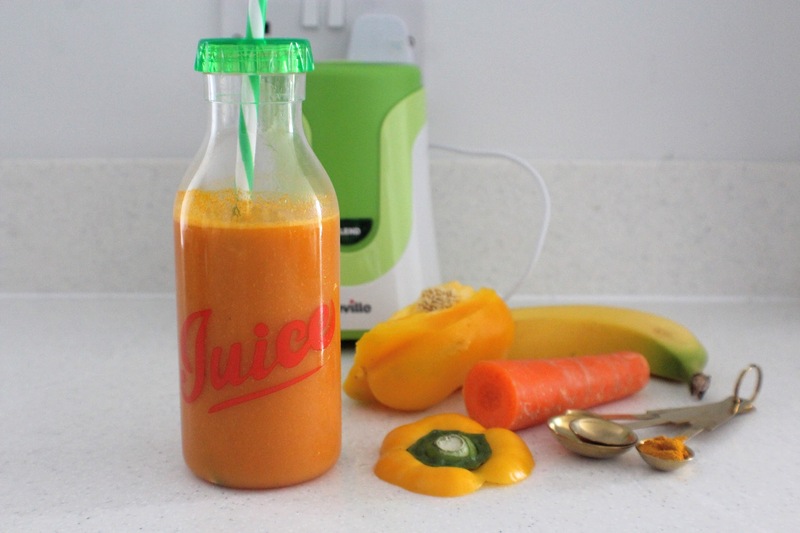 I was unsure about using peppers in a smoothie but the challenge prompted me to give it a go. 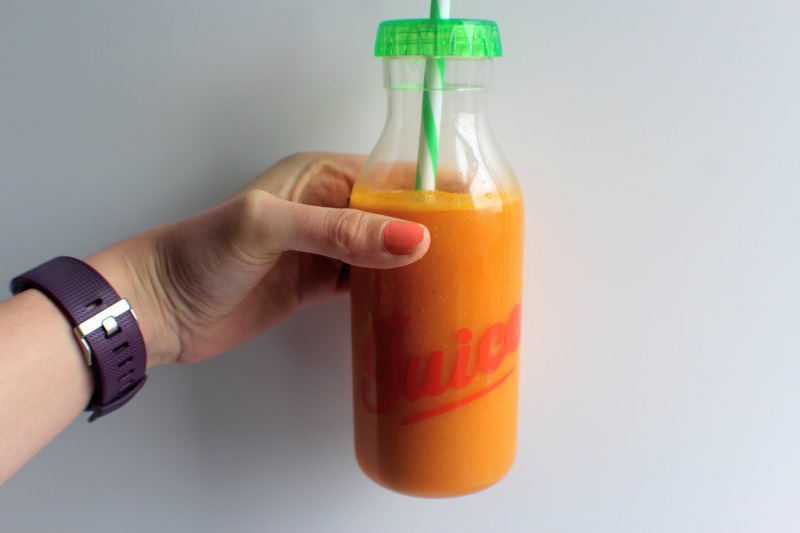 Using a vibrant yellow pepper, I thought I’d create a drink with a zingy, refreshing and summery vibe using the Breville Blend Active Blender which was kindly sent as part of the package. It whizzed up all the ingredients (including carrot chunks!) so I was impressed with that. Let’s get onto the recipe! Throw everything in a high-power blender and whizz up for 1 minute until smooth. Pour into a glass and enjoy!